In 2007 Guerlain were looking for a follow-up to their popular fragrance Insolence, which had launched the previous year. Insolence had been marketed as a fragrance for the woman who "never has to apologise", and whilst it championed independence it also lacked romance. So, Sylvaine Delacourte called on Randa Hammami to create a Floral Musky fragrance which would eventually be called L'Instant Magic. 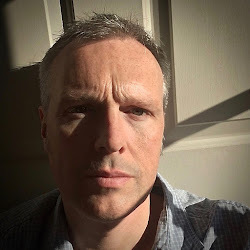 On the eve of its tenth birthday let's revisit the fragrance which coined a new, if short lived, olfactory description and ultimately struggled to find its place after it was reclassified as an "exclusive". L'Instant could be thought of as the La Petite Robe Noire of its day. 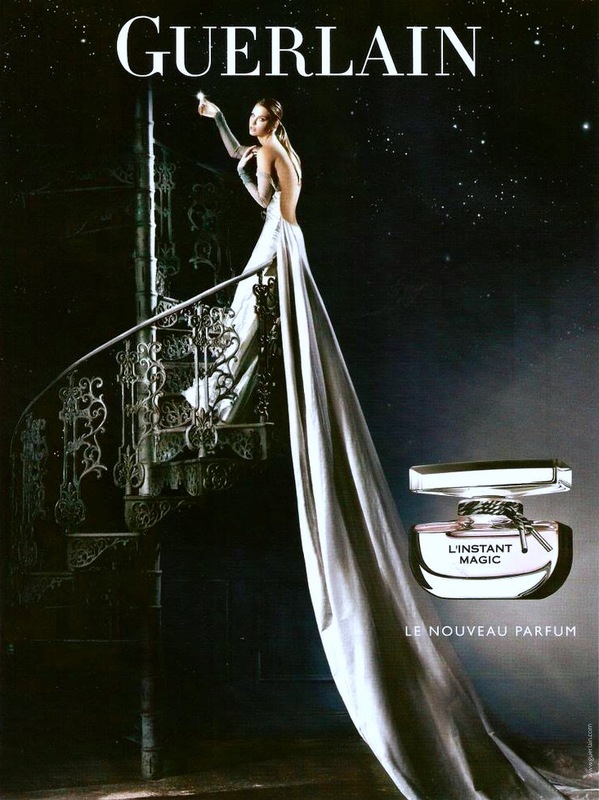 With the first fragrance released in 2003, Guerlain went on to launch a collection of eight scents under the name, including L'Instant Magic. The original used a "double olfactory pyramid" and contained a "magnolia inclusion", which basically meant that the floral stayed firmly in the centre throughout. 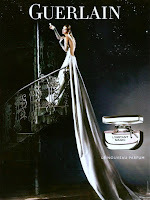 For the 2007 release Sylvaine Delacourte wanted a musk rich fragrance that was the epitome of romance. The olfactory structure became known as the "musquinade", and whilst it also appeared in the 2009 Mon Précieux Nectar the term has now been resigned to the Press Office archives. 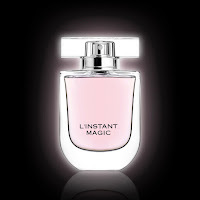 When L'Instant Magic launched it was widely available and very quickly developed a secure following. Unfortunately a decision was taken to withdraw it from mainstream release and instead offer it to select stores as an "exclusive". In Britain it went solely to Harrods and so became more difficult for its fans to repurchase. It was discontinued in 2014 but there were various rumours of a potential reappearance, and it now seems that its new home will be as an airport "special" and a boutique "exclusive". Either way I'm very happy, because this fragrance cannot fail to impress. L'Instant Magic opens with a gloriously fresh citrus, but it has none of the harshness which can sometimes be associated with a lemon and bergamot combination. Instead they blend beautifully with a delicately spiced anise to give an airy and uplifting beginning to the fragrance. The florals come into play very quickly with L'Instant Magic and they are constructed in a way that flows smoothly from the top right through to the bottom. A watery freesia note sits gently alongside the citrus opening and allows a violet to bloom subtly along with a delicate rose. This rose is no Nahema or Idylle, but rather a carefully supporting player. The wonderful thing about violet is that it will always grab hold of iris and bring it to your attention earlier than expected. That is exactly what happens here, and so you start to get a delicate powdery quality alongside the florals. The appearance of the smooth woody aromas of cedar and sandalwood are given a sweetness with a tonka bean and vanilla pairing, although L'Instant Magic's star player is what really makes this fragrance work. White Musk has always been thought of as cold, clean and unexciting, but Randa Mammami really made it enticing. It supports from top to bottom and ultimately holds together the entire composition. 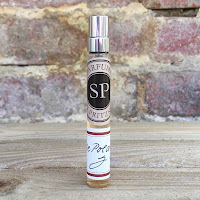 Indeed, a great review about a truly magical scent.